FairLifts provides the access you need to the most helicopter pilots, aircraft, and professional Montreal helicopter lift services in Quebec. By partnering with professional pilots, the state-of-the-art aircraft and experienced operators in the US and Canada, we have the ability to offer our clients more options and at cost-effective pricing. No matter the size of the project, we can provide the planning you need to get a helicopter perfectly fit to your job and a pilot who knows how to complete it. With FairLifts, you will never be at the mercy of what helicopter operator you can find in a pinch. 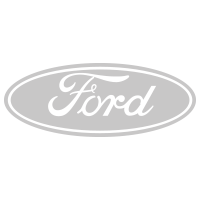 We will utilize our partner network to plan, schedule and negotiate pricing for you so that you always get the best service and at or below your budget. Serving The City of Saints. As the second-most populous municipality in Canada, Montreal is a busy city with plenty of use for helicopter lifts. As the headquarters of the International Civil Aviation Organization, the Airports Council International, and the International Air Transport Association Montreal is pivotal in the aviation community. Whether you need airport transfers from Mirabel International Airport or if you are in need of freight lifted from their site and delivered to Dorval Airport, we can accomodate any lift or transport request. In terms of specialty services, FairLifts offers scheduling of air cranes for heavy lifts, mineral exploration, aerial surveys, and operations support plus so much more. From the Canadian Arctic to anywhere in the country, FairLifts can assist it’s clients in a multitude of tasks, including logistical support of isolated facilities, pipeline construction, lifting of internal, external and oversized loads, personnel transport, precision longline and the movement of heavy equipment, large drill rigs, and pipeline infrastructure. FairLifts provides access to the most options in Montreal. By utilizing our preferred vendor network in both the U.S. and Canada we will locate the perfect helicopter and operator for your specific needs. We work with professional and experienced pilots in the area to offer you the most options when it comes to chartering a helicopter to assist you with your project. 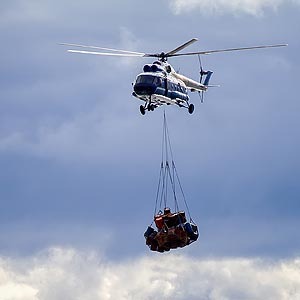 Take a look below at some of the options we can offer businesses in Montreal in need of a helicopter lift or conveyance. Construction helicopters can be utilized for several projects. Whether you are in the beginning stages of development and need additional machinery or materials delivered or are in the end stage where clean up may include transporting extra materials back to base, helicopter lifts for construction companies and sites are your most convenient and efficient option. Heavy lifting solutions can be scheduled if you are in need of having a heavy object lifted to a specific site, such as an HVAC unit to the top of a building or if you work for a utility company and are in need of a pole to be erected. When it comes to heavy lifting, helicopters can provide precise placement and lifts over 25,000 lbs.